The Canadian Innovation Exchange (CIX) unveiled its top 20 list of Canada’s most innovative technology companies today at the opening bell of the Toronto Stock Exchange. The 2011 list features 10 companies from the Toronto region, four from Montreal, two from Vancouver, and one each from Calgary, Ottawa, Waterloo, and St. John’s. Divided evenly into digital media and information and communication technologies (ICT) categories, the judge-curated list of firms is testament to Canada’s ability to foster innovation, says Robert Montgomery, CEO of Achilles Partners LLC and a CIX co-chair. It wasn’t easy picking out the 20 companies to be featured on the list for the judges, Montgomery adds. There were more entries than ever this year. The entrants all compete on a global scale and range from startup phase firms to more mature outfits. Toronto-based Arcestra Inc. is a commercial real-estate Web-based technology that allows prospective tenants to see office floor plans in an interactive 3D format. Businesses can get a sense of what working in a space will be like before leasing it thanks to a graphical floor plan that supports embedded images or video walk-throughs. “For most tenants, office space is the second-most expensive line item in their budget,” says Colin Graham, president and CEO of Arcestra. The tool they’re typically given to do this is an inadequate paper schematic. An interactive 3D tool makes those schematics more accessible. Launching in May 2010, Arcestra has generated $1.5 million in revenue, and works with more than 50 customers, mapping over 400 million square feet of rental space. Graham says he’s looking forward to pitching to investors at the upcoming CIX event. Infographic | How does Canada’s ICT sector stack up globally? Toronto-based Massive Damage Inc. isn’t decided if they are looking for investors at the moment, says Ken Seto, CEO and co-founder of the mobile gaming firm. That may be a bit of a relief, as Seto is often challenged to potential investors the value of his Zombie apocalypse role-playing game Please Stay Calm. The game puts players in a survival game wherever they happen to be when they check in on their smartphone. “A lot of investors don’t necessarily understand the gaming space as a whole. To explain how we’re innovating on top of that space is an uphill struggle,” he says. 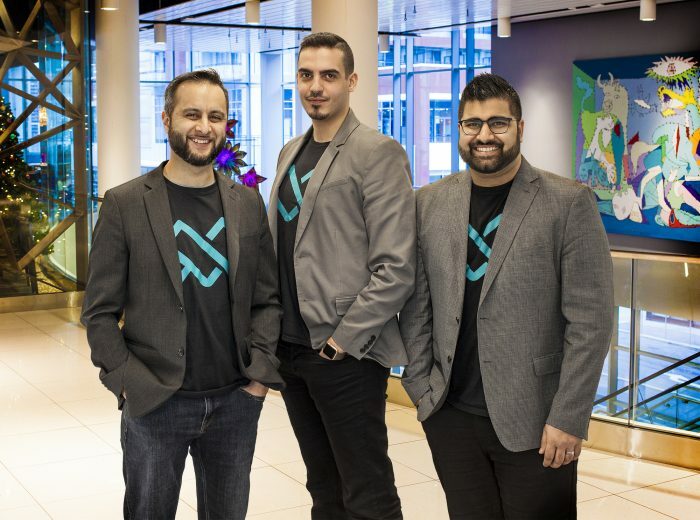 Listed companies will present at the MaRS Discovery District in Toronto on Dec. 1, and a winner from each category will be selected based on a virtual stock exchange game being played by attendees.